We are happy to introduce the Shoutcast and Icecast radio streaming player that is brand new product and the first radio streaming player that we offer. The radio player is extremely useful because it gives an opportunity to digitally transfer the audio data across the internet. The above-suggested product can be employed by radio websites, online radio stations, and internet radio websites. However, the radio player is based on HTML5 jQuery and is only compatible with HTML5 or Bootstrap templates and does not work with WordPress. 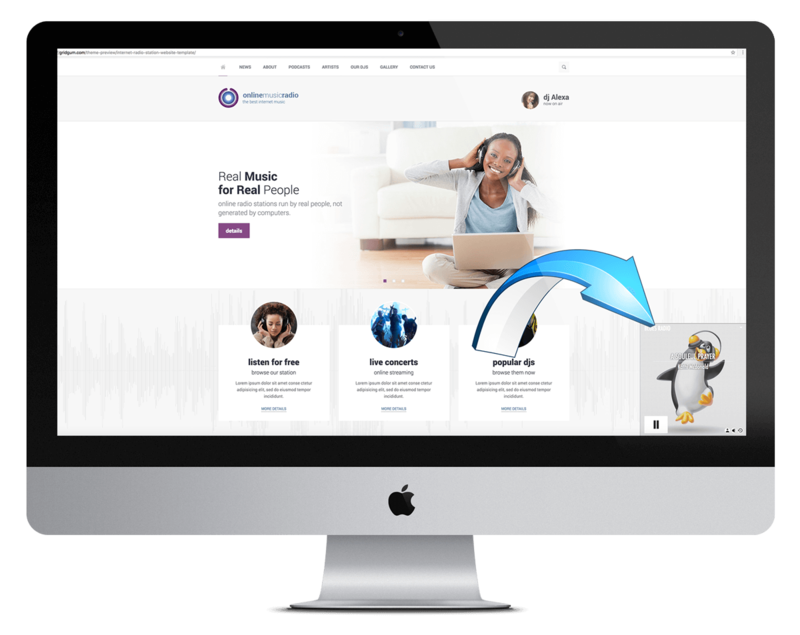 However, due to the high demand for Radio templates and ratio streaming players, we will also create the WordPress version of it in a very close future. After the test, you will be assured that the HTML5 radio streaming player is a very high-quality product and will not cause any harm to your already existing and functioning website. As you might see it will appear on the right side at the bottom of the page in a square shape. The location of the radio can be altered, it can be placed at any part of the website, it depends entirely on your choice and taste in design. Actually, every detail about the ShoutCast and IceCast radio player can be changed, for example, the color and the shape of the text that appears on the player and many other things. As it was mentioned above, there will be provided the documentation that will explain all the processes, including altering the location of the radio player on the web page, in a very detailed way. The radio box will contain the information about the song and the artists, the recently played tracks and etc. The viewer will be able to share the link of the radio on social media like Facebook, Twitter and etc. The radio can start functioning as soon as the website is accessed and the song will start playing or it can be put on the silent mode and viewers can increase the volume whenever they wish. It is again up to you how the radio will function and how it will look like, everything can be altered via settings. You might think that having the radio streaming player is complicated but believe, it is not. You will need to plug the URL data of your radio in the player and it will automatically appear on the website. If you have some difficulties with the installation process, please contact our Technical Support team and the creator of this radio player will offer you tutorials that will assist you during the installation processes. 1. 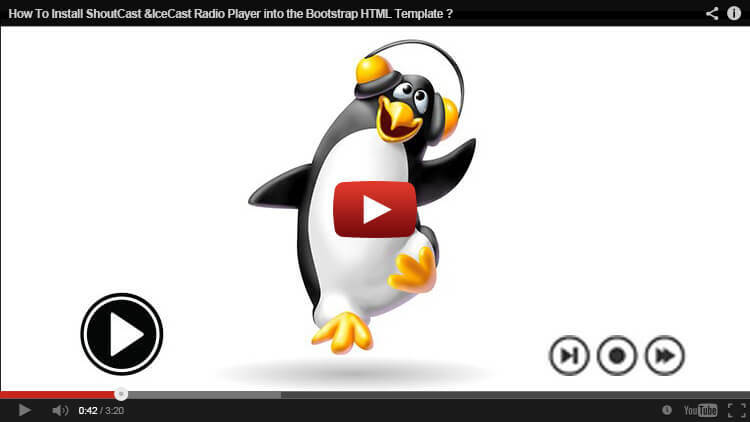 HOW TO ADD SHOUTCAST OR ICECAST URL ADDRESSES ?